Don't throw out your elastic waist slacks if you have gained a few pounds and they no longer fit comfortably. You can easily add a few inches to the waistband by increasing the length of the elastic band inside the casing of the slacks. This is a simple process that can be done by novice sewers. With a little measuring, calculating and sewing, your pants will once again fit nicely around your new waist size. Lay your elastic waist slacks on a flat surface. Measure across the waistband of the pants using a fabric measuring tape. Double this measurement to determine the size in inches of your waistband. Do not stretch the elastic of the waistband while taking the measurement. Stand up straight and relax the muscles in your abdomen. Wrap the measuring tape around your waist. Do not pull the measuring tape tight around your waist. Ensure that it fits closely around your waist, but not to the point where it is stretching or pulling on your skin. Record the measurement. 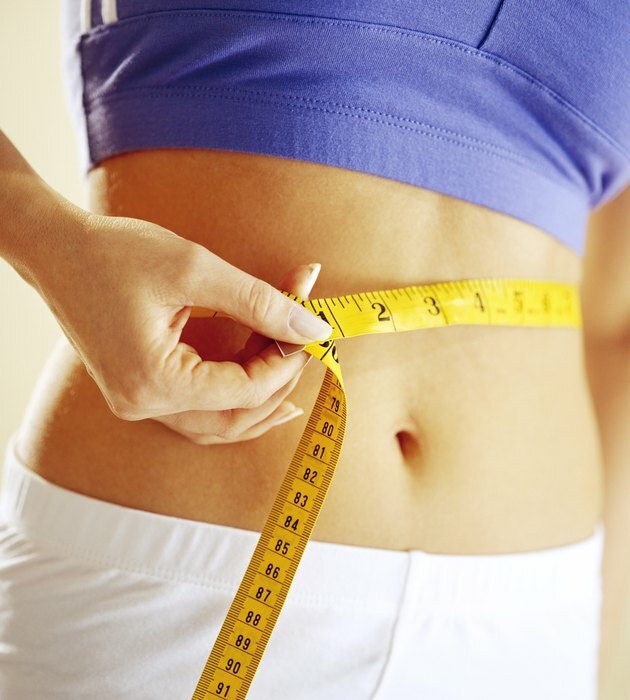 Subtract the measurement of the slack's waistline from the measurement of your waist to determine how much elastic you need to add to the waistline. For example, if the slack's waistline measures 30 inches and your waist measures 34 inches, you would subtract 30 from 34. You would need to increase the slack's waistline by 4 inches. Choose one side of your slacks to make the alteration. Remove the stitches from the bottom inside of the waistband's casing using a seam ripper. Pull the elastic from inside of the waistband's casing out of the opening. Pinch the elastic to form a fold. Cut along the fold to create two loose ends in the elastic. Pin each end of the elastic to the fabric of the slacks below the waistband with safety pins to avoid losing the ends inside the casing. Add two inches to the calculated measurement from Step 3 for seam allowances. Lay out a piece of elastic equal in width to the elastic inside the waistband. Cut a length of the new elastic equal to the new measurement. Unpin one end of the elastic from the slacks. Keep a firm grip on the end to prevent it from slipping back inside the waistband's casing. Place one end of the new elastic piece over the end of the existing elastic. Overlap the two ends by 1 inch. Pin the two ends together with a straight pin. Repeat this process with the opposite ends of the elastics. Sew the ends of the two elastic pieces together with a sewing machine. Sew a seam vertically along the edge of each elastic's end. Sew a diagonal line of stitches from the top end of the left vertical seam to the bottom end of the right vertical seam. Sew a second diagonal row of stitches, this time from the bottom of the left vertical seam to the top of the right vertical seam. Remove the straight pin before sewing over it. Repeat this step to join the opposite ends of the elastics together. Tuck the elastic back inside the casing of the waistband. Grasp the waistband on either side and stretch outward repeatedly to re-distribute the elastic. Fold the open edge of the casing back to its original position and pin in place with straight pins. Sew along the pinned edge of the casing to close it around the elastic. Remove the pins before sewing over them to avoid breaking the machine's needle. Clip any loose threads from the new seam.